This is the seasonal exclusive Halloween AmaiBox! Inside you’ll find an assortment of the latest and greatest Japanese Halloween candy. 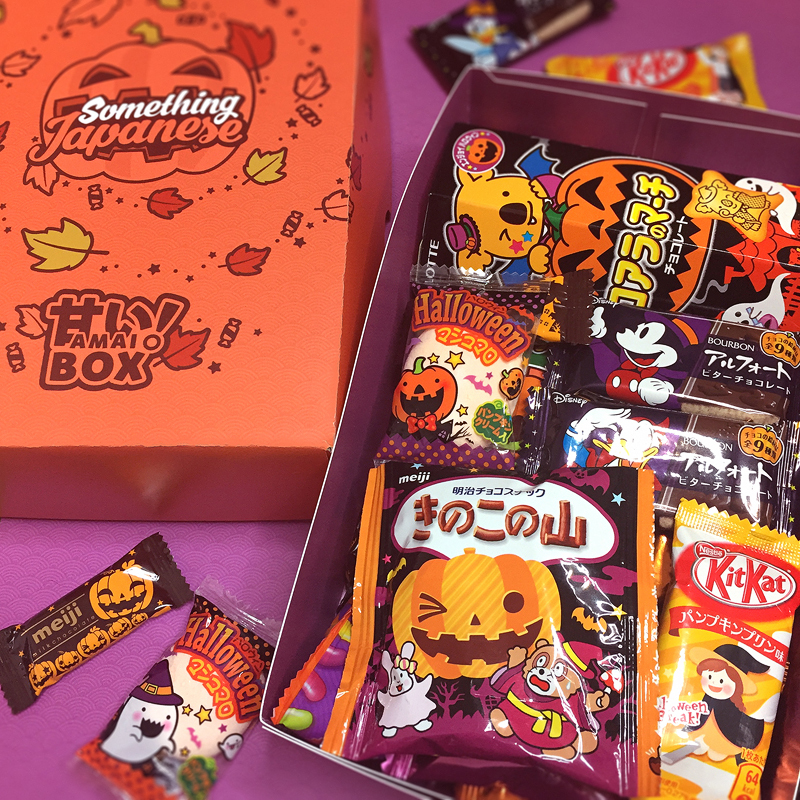 Each Halloween AmaiBox will be jam-packed with Halloween snacks from Japan such as Pumpkin Kit Kat and Halloween Pocky as well as tons of other tasty treats you won’t of tried before. The Halloween Japanese Candy Box is extremely limited and sells out fast each year, so don’t miss the chance to pre-order yours! You’ll find an assortment of around 20 Halloween themed items in your candy box which will weigh around 500g, each box will measure 22cm x 14cm x 7cm and items may vary each year. Order you Halloween Candy Box as soon as possible to receive it before Halloween. Image above is a previous years Halloween AmaiBox, products and designs vary each year. Each Halloween Japanese Candy Box is filled with a variety of this seasons greatest snacks. Although the products included don’t contain nuts, they are produced in factories where nuts are also used.